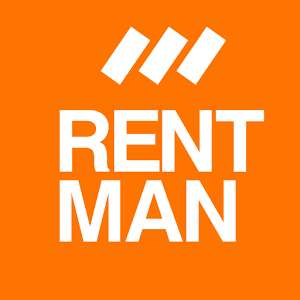 While implementing Rentman you have the chance to adapt Rentman to the your way of working. To do so, you can edit some general settings. Besides that you can also change some specific settings to make your project creation easier and faster as well as avoid mistakes. When creating a project you always select a project type. With this selection come two advantages: You can plan projects faster and also divide them in overviews and statistics. You can preset individual standard times, tasks and settings for each project type which makes it possible for you to plan faster. - How do project types work? Besides project types you can also create a project in the past and use it as a template project. When you want to create a new project you can duplicate this template project onto a new date and copy the planned material, functions, rides etc. Template projects therefore are normal projects that are completely planned. Just give it a identifiable name and put the date in the past. You can plan your crew in projects using crew functions. These crew functions wil appear on your documents like quotations and invoices. You can plan your crew immediately on these functions or in a later stage. To fasten the creation process you can also save and load standard crew functions. In your project you can plan your transport by adding rides to the project. By adding vehicles to these rides the actual transport costs will be calculated. Standard rides can also be created and saved to use these rides in a later stage to fasten the project planning procedure. During the implementation process you can edit the general settings for your account in the administrator panel. Here you can set the factor discount, invoice moment, payment conditions and your general and additional conditions. Rentman has a calendar module that provides a good overview of all your projects for a certain month or week. You can synchronize the calendar from Rentman with the agenda on your own device. It could be useful to synchronize the calendar with a personalized view of only the respective projects for one crew member. Welcome in the Rentman 3 Support Center!